14oz. bag. Guaranteed fresh, because they are made only a few miles from our business. 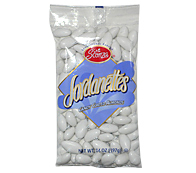 They smell wonderful- you better buy extra, because you will be tempted to eat them as you make your favors.